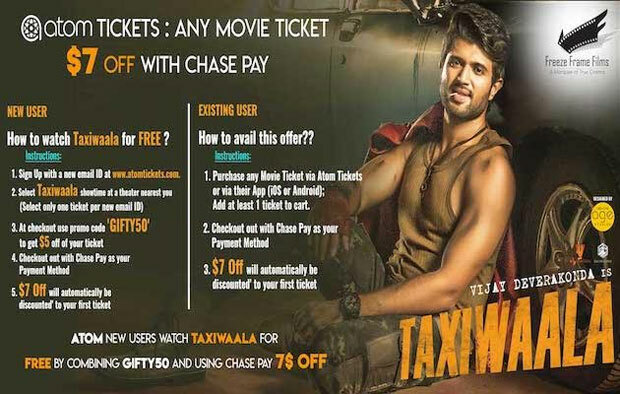 ﻿ Taxiwaala AT&T Buy 1, Get 1 this Tuesday & Free ATOM Ticket offer!! Everyone involved with of Taxiwaala is rejoicing. After all, it has beenrn quite a bumpy ride for them ahead of the release of the film that is rnnow breaking records and has scored yet another success for the most rnhappening actor in the business, Vijay Deverakonda. While the rnfilm's shoot was done long ago, the elaborate computer graphics involvedrn caused a wee bit of delay. However, that's not it. 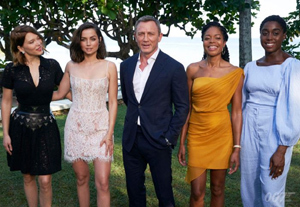 Just as they were rnworking on the post-production of the film, a massive tornado hit them rnin the form of pirates who leaked the film online with an unedited rnversion circulating like wildfire. 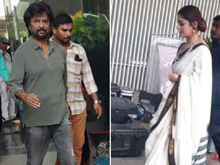 In fact, just a few days rnbefore the release, the links of the film started reappearing all over rnthe internet with many who saw the film spreading negative talk. rnHowever, the struggle ended and how! The film hit the screens of rnNov 17th, USA Premieres on Nov 16th and soon good reviews started rntrickling in. Along with that, a good word of mouth was the icing on thern cake with everyone understanding that this was a film that was worth rnspending their money on. It's no wonder then that the film is now rnrunning successfully across theaters across the globe. And for rnall of you who missed the film and have been curious ever since they rnhave seen the positivity around the film, directed by Rahul Sankrityan rnand produced by SKN on the banners GA2 Cinemas and UV Creations, here's rnone lucrative offer! Avail the AT&T "Buy One, Get One" rn& "ATOM 7$ off with Chase PAY and Free Tickets" Offer and watch rnTaxiwaala with your friends and family on Tuesday at the screens closestrn to you at various locations across the US. Freeze Frame Films is very honored to be associated with a new age film that is taking Telugu cinema ahead yet another notch.